It seems like an impossible contradiction: for the sake of the planet, greenhouse gas emissions from vehicles must go down significantly. And yet, with global trade and e-commerce thriving, freight volumes are projected to grow 40% by 2050. The increase in freight traffic is about to meet environmental pressures (and government legislation) head on. Truck fleet operators don’t have to look very far into the future to see that drastic change is on the way. How can they deal with this looming challenge? 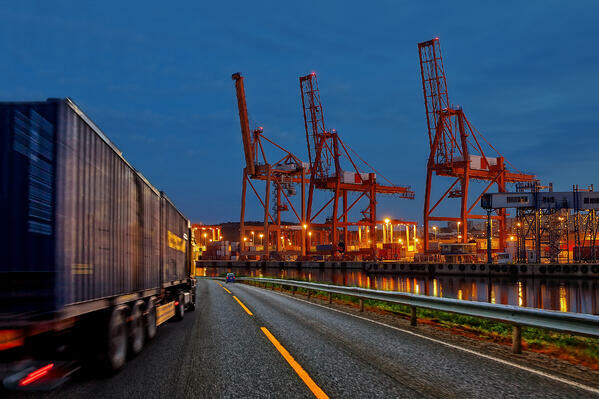 This article proposes some technological advancement that will transform the freight industry, including a robust, proven solution for zero-emission heavy transport powered by hydrogen fuel cells. Using a combination of sensory inputs and mechatronic systems, the autonomous truck would use a sophisticated "multi-domain controller" that effectively replaces a human driver, and can drive the truck in response to variable road conditions. ADAS help drivers with automation and wireless connectivity. While primarily intended to increase driver safety and road safety in general, ADAS have shown strong links between connectivity and fuel efficiency. For example, the advanced predictive skills of ADAS better manage starts and stops and maximize vehicle momentum to save on fuel. ADAS can bring added efficiency to any kind of powertrain, from traditional diesel and natural gas trucks, to electric vehicles powered by batteries or hydrogen fuel cells. To reduce wind resistance and save on fuel, ADAS-controlled trucks can follow each other more closely than would otherwise be safe. With interconnected control systems, vehicles can travel in tight “platoons” of two to five vehicles, with one lead vehicle creating a low-resistance draft that cuts fuel consumption for those behind. Currently, fuel comprises approximately 35% of a truck operator’s total costs. An autonomous battery electric or fuel cell-powered truck would be 60-70% cheaper to operate than a diesel-powered truck today, due to lower driver, fuel, maintenance and insurance costs. And although battery-powered electric powertrains are today’s primary zero-emission option for urban and light vehicles, their range and weight constraints are a major problem for freight transportation. Therefore, the most viable and practical form of electric power for freight vehicles is hydrogen fuel cells. For the freight industry, fuel cell electric powertrains offer four key advantages over batteries: longer range, greater power, more payload capability, and faster refueling. Hydrogen fuel has a higher energy density than batteries, which means that, compared to batteries, fuel cell-powered vehicles go further. In fact, the range of a fuel-cell truck has the potential to be equivalent to a traditional diesel-powered truck. For the freight industry this is revolutionary: there is now a zero-emission option that can handle similar routes to diesel fleets. Compared to batteries, fuel cell technology provides more power for travelling long distances and on challenging terrains fuel cell trucks can handle long, steep grades under load without compromising speed. The fuel cell system can be used for auxiliary power as well, such as powering the cooling system in refrigerated trucks. The higher energy density by weight of hydrogen fuel means that fuel-cell powered trucks can carry more freight. Fleet operators don’t need to compromise their payload to meet the weight limitations of a battery powered vehicle. A key weakness that plagues battery-powered electric vehicles is slow charging. For commercial vehicles, where time is money, slow charging can take working vehicles off the road for hours at a time. By contrast, a fuel cell truck can refuel in five to fifteen minutes. With fuel cell trucks, fleet operators can keep their vehicles on the road about as much as they currently do with diesel powered trucks. In addition, hydrogen refueling is centralized and refueling stations are scalable. 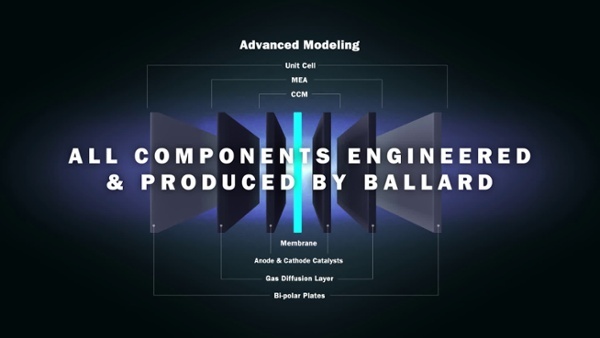 Ballard’s fuel cell technology is proving itself in pilot deployments. 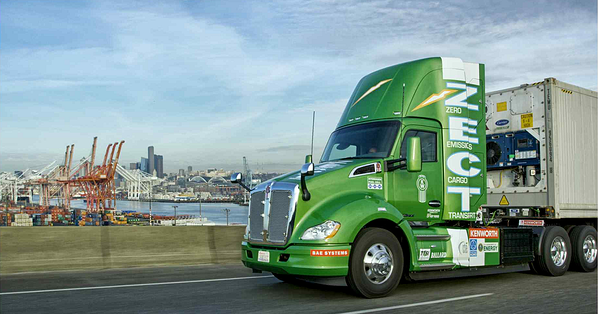 In California, Kenworth is running a long-term test with a fuel cell powered drayage truck—powered by Ballard's FCveloCity® HD module—that is hauling loads in and around Southern California ports. 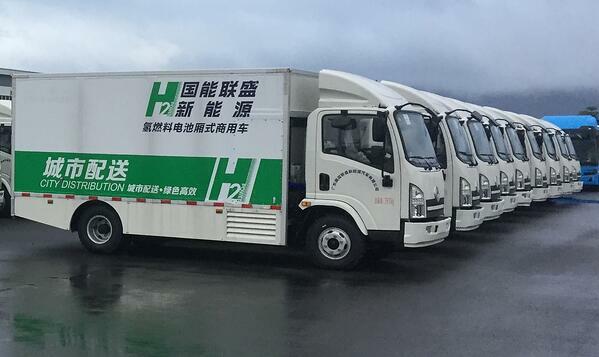 In Shanghai, China, 500 trucks powered by Ballard fuel cells were deployed in 2018, and have since accumulated over 5 million kilometres on the road. At this time, this is the world’s largest fuel-cell powered commercial vehicle fleet in operation. The commercial heavy-duty vehicle industry is very cost sensitive. Total Cost of Ownership is a central concern for operators. Without subsidies to bridge the current gap with conventional engines, the costs of adoption can be high, at least in these early days. As commercial acceptance of fuel cells grows, the scale of implementation will increase and prices will fall. It’s also important for fuel cell technology developers to work closely with engine and vehicle OEMs to optimize hydrogen powertrain cost and industrialization. Before long-distance trucking adopts fuel cells, onboard storage must improve. Fortunately, new generations of technologies have the potential to increase the quantity of hydrogen fuel that can be carried on board a vehicle without unduly affecting payload. For example, at the Lawrence Livermore National Laboratory (LLNL) in California, technology is under development to maximize the hydrogen fuel density, and triple the amount of hydrogen that can be carried on board a vehicle. Learn more in our interview with LLNL’s Senior Research and Development Engineer, Guillaume Petitpas: Hydrogen Distribution: How to Drive Zero-Emission Transport [Interview]. Several factors are contributing to the fast pace of fuel cell adoption. Fossil fuel costs are rising—and the cost of diesel engines is rising, narrowing the gap between traditional and zero-emission options for heavy-duty vehicles. Regulatory support will encourage adoption: regulations like those in California and China will put pressure on OEMs to produce more zero-emission commercial vehicles. This will bring more options for fleet operators and increase competition among producers. The freight industry needs zero-emission solutions, and fast. The good news is, emerging technological trends, including hydrogen fuel cell powertrain development, are moving the industry toward reducing emissions. Compared to a battery electric solution, fuel cell technology offers longer range, greater power, more payload capability, and faster refueling. It is the most viable solution to reduce emissions, and create a cleaner future, without any compromise in operations. 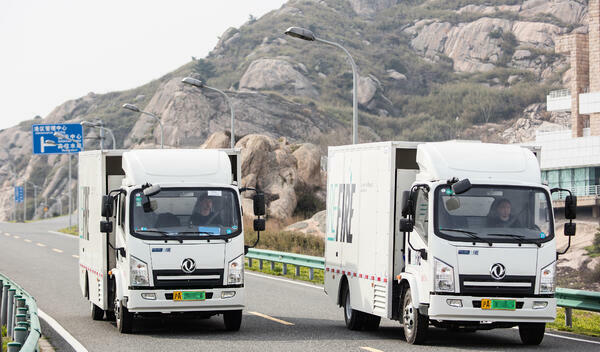 For more information on our technology solution capabilities and current fuel cell project deploying 500 fuel cell trucks in Shanghai, China, download our case study below.